The participants in Mandela Day at IBM’s South Africa lab. Since 2009, on 18 July the world recognizes Mandela Day, to honor Nelson Mandela on his birthday. 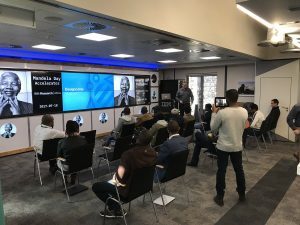 Part of Mandela’s huge legacy includes community service and volunteerism and IBM’s newest research lab in Johannesburg did its part to contribute with local start-ups. 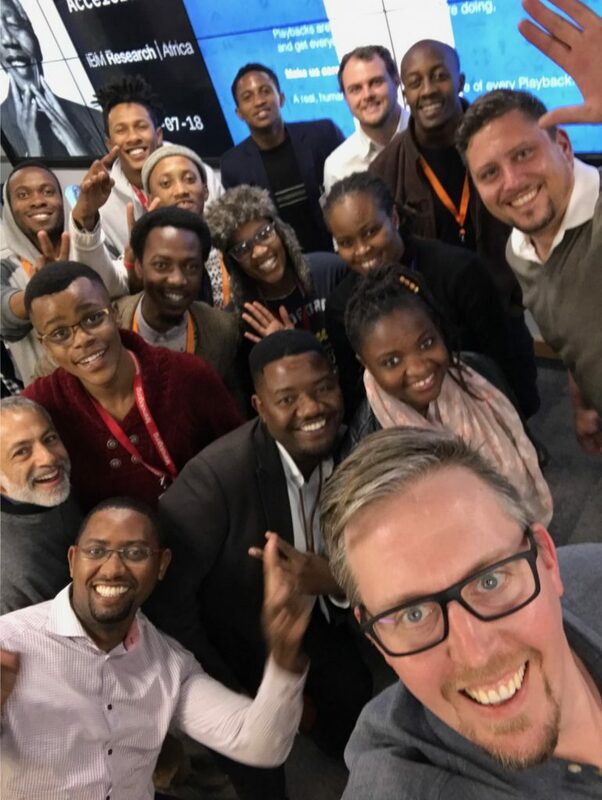 A few weeks ago IBM scientists and local design consultants spent the day mentoring and training four groups of about a dozen South African aspiring start-ups and entrepreneurs identified through IBM’s Equity Equivalence Investment Programm (EEIP) and the WITS university incubator program. 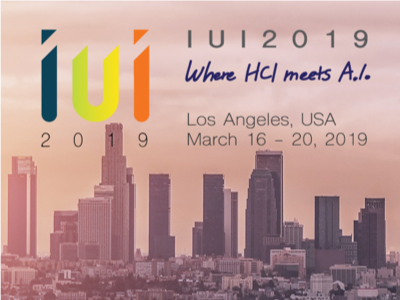 The full day agenda exposed the participants to the concept of design thinking, which focuses on user outcomes, restless innovation and empowered teams. After this training the teams partnered with IBM scientists and designers who offered advice, mentoring and a path forward to bring their projects to life. Dr. Solomon Assefa, who leads the IBM labs in Africa, provided some inspiration to the participants when they arrived. The first group is cleverly called Hippocampus. Led by the enthusiastic Joseph Mokone, its goal is to create a private virtual tutor app to help first year university students with particularly difficult courses, such as economics. 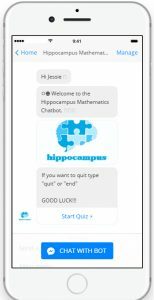 Hippocampus, which is based on a subscription model for universities, already has nearly 400 students accessing it’s video-on-demand platform since it launched in May and it plans to incorporate more design thinking to make it even more user-friendly. Mokone, who learned about IBM Watson during the day, had previously heard about the AI-technology after watching a highlight video at a conference. He was excited to learn that the technology is now available in the cloud for start-ups and he plans to look at how the APIs and the IBM Cloud can be used to add more services and scalability to his platform. Let’s Talk aims to improve public services. The second group comes from a start-up called Saya-Setona, which proposed an idea called Let’s Talk. The solution is based the principles of Batho Pele, which is an initiative introduced by the Mandela administration in 1997 to improve the delivery of goods and services to the public. The app captures, rates and prioritize the services citizens are receiving from the local, provincial and national government such as education, social development, water availability and housing. Each time a citizen reports a problem a ticket is opened, which the local township can use to prioritize and rank to develop an action strategy. The team has already partnered with local cellular provider Telkom to roll it out across all of South Africa. 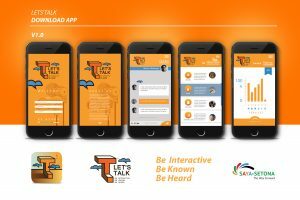 “Our app is about citizen participation to drive service delivery from the government. Every citizen should have their voice heard and with our app it will be possible at the click of a button. Today they have to travel long distances and when they finally arrive they have to wait in line or worse protest,” said Slovo Mamphaga, a designer at Saya-Setona. The team behind Let’s Talk sees an important role for design thinking as they develop the it. According to the company’s founder and innovator, Moepi Setona, the application empowers citizens to better participate in decision-making processes. “It’s another aspect of thinking. I’m not a coder or a designer, but I am a salesman and it will also help me sell our product,” added Setona. The third group included Rory Malgas, lead designer at Figtory Digital. Rory mentors people who need assistance when it comes to design. He teamed up with President Masango, the founder and CEO of start-up CyberGeeks, which supports organisations looking to go digital using AI and the cloud. The business of design thinking. “Before today, I had my own understanding of design thinking and applied it to my projects that I work on, but now I have a better understanding of the principles and how to apply them correctly” said Malgas. The duo proposed a new idea based on cognitive computing to help small and medium start-ups communicate more effectively when talking about their business model and their competitive advantage to investors. “There are some really incredible business ideas that are coming from South Africa, but if you can’t convince an investor to provide funding it will never turn into an innovation that matters,” said Masango. 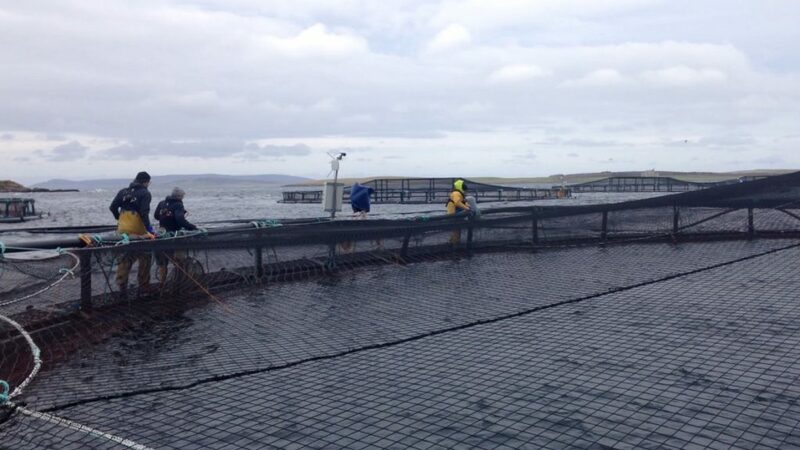 The team hopes to develop a prototype with a local start-up in the coming months. The last group to pitch an idea included Aisha Justin, a computer science student at the University of Johannesburg and Thembi Songo, one of the founders of a tech company focused on financial management, which is also the concept for the idea they presented. Songo wants to build a financial management app for the unbanked offering services for tax compliance, financial education. While it doesn’t have a name yet, the team already is in negotiations with the leading musical royalty distributor in South Africa. Songo said, “Large record firms cannot, by law, pay out royalties to individuals who are not tax compliant. The other opportunity is to partner with a leading bank to provide the back-end services for individuals who have never banked before. And then Songo’s app will take a small fee from the bank per transaction. The team expects to have a beta version of the app running in the next 3-6 months. After all of teams presented their ideas to the group Assefa wrapped up the event and on his commute home he realized that some good was done today, not only for IBM, but for the greater community. IBM Research shares new results at SysML that push the envelope for deep learning inference, enabling high accuracy down to 2-bit precision.